Unify the SONY digital experience with its various properties, applications, and regions, while making the Sony brand more relevant to a younger generation. By created a media wall that aggregates all of SONY’s coolest content on the homepage, Sony’s far-reaching brand is featured in an immersive interactive experience and presented in an energetic and colorful manner. The “UNI” platform is also optimized for touch displays, while it provides a personalized browsing experience that encourages exploration and discovery. 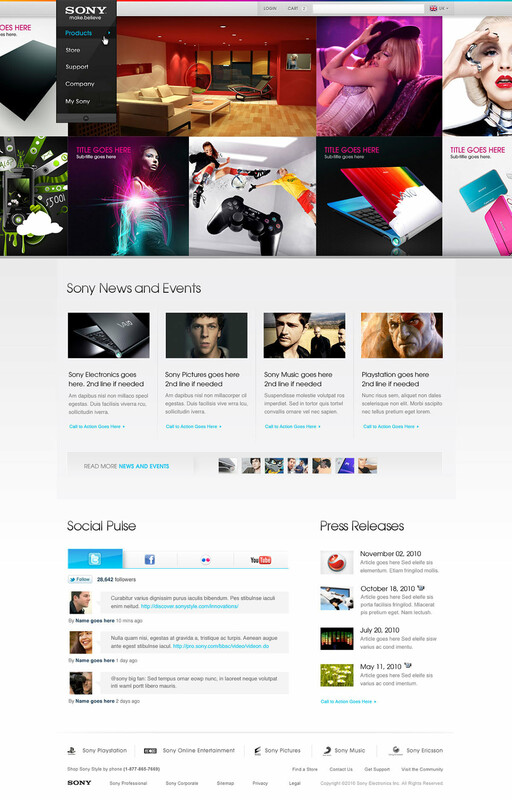 In addition to the homepage, we also re-imagined the look and feel of numerous other page templates. 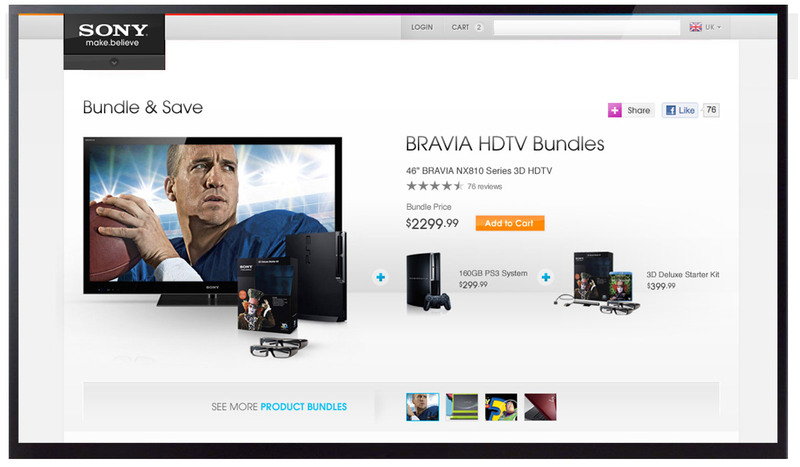 These include: product detail, category, sub category, and various shopping tools and apps.